Shane Shirley : Olay has Parabens!!! I know this is a bummer to those of you who love this product, but Olay's line has parabens. 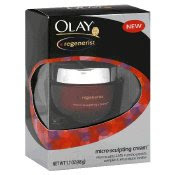 Click on the title above for ingredients in the Olay Regenerist Micro Sculpting cream.